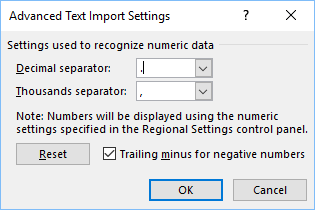 In order to import in Excel 2016 and earlier versions a CSV file that uses UTF-8 encoding, you have to follow these steps. 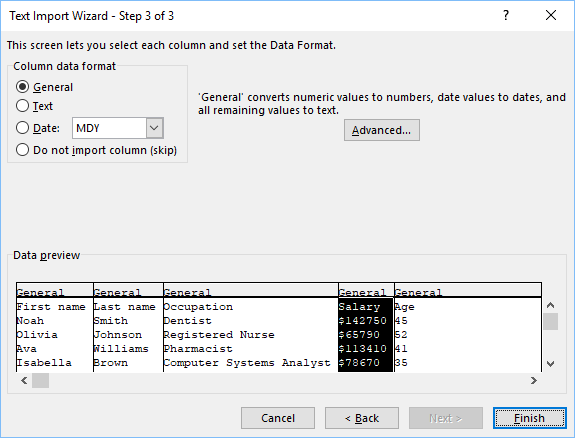 Go to Data >> Get External Data >> From Text. 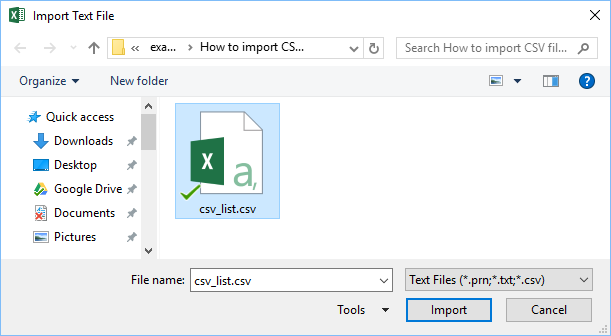 Go to the location of the CSV file, that you want to import. Set the character encoding to 65001: Unicode (UTF-8) from the dropdown list. Check My data has headers. 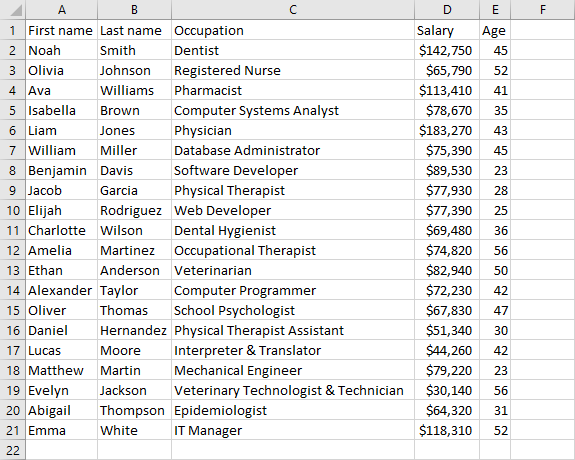 You have to use it because the first row of CSV file has column names. 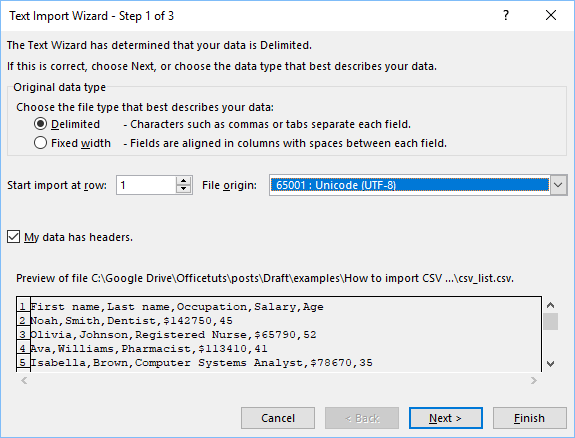 Click next to display the second step of Text Import Wizard. 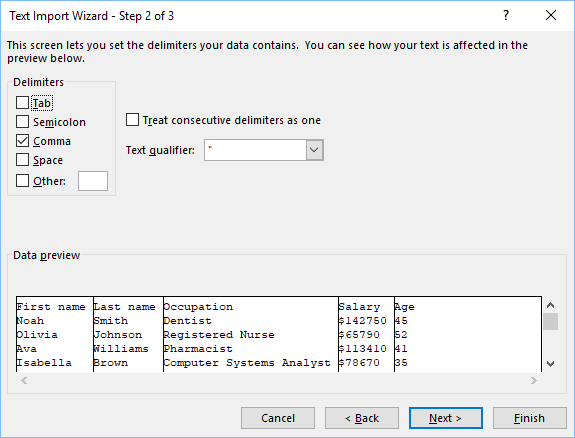 Because our data is separated by commas, set the delimiter to a comma. Click next to move to the third step. 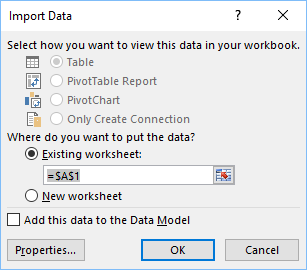 Keep the default values inside the Import Data window and click OK.
Now, you can save the file as an Excel document.